Presliced and ready to use from the package, cold cuts are convenient lunch choices. They include deli meats, such as turkey breast, ham, salami, roast beef and corned beef, as well as sliced cheese, such as cheddar, mozzarella and Swiss. A healthy lunch with cold cuts includes a variety of additional healthy foods to provide you with a range of essential nutrients. 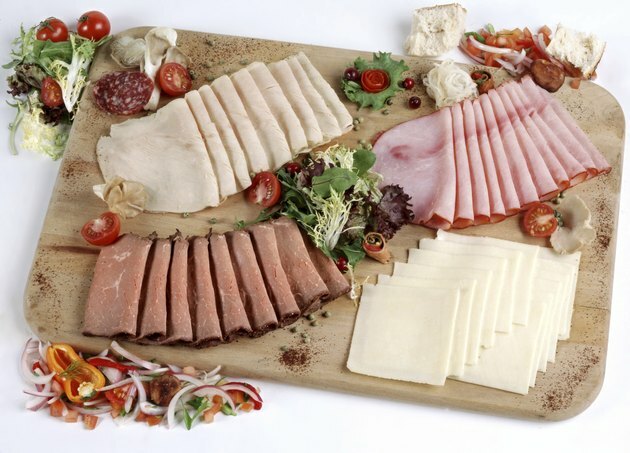 Deli meats provide protein, an essential nutrient for building muscle mass and maintaining a strong immune system. Turkey breast provides 29 calories and 5 grams of protein per ounce. Bologna and pepperoni provide 4 grams of protein per ounce but have 87 to 138 calories per ounce. Cheese is also a source of protein, as well as calcium, an essential nutrient for building strong bones. Meat and cheese provide vitamin B-12 and iron. The calories in fatty processed meats and full-fat cheese can quickly add up, making your lunch high-calorie if you are not careful. Consuming more calories than you expend causes weight gain, and a healthy lunch will provide nutrients your body needs without excessive calories. 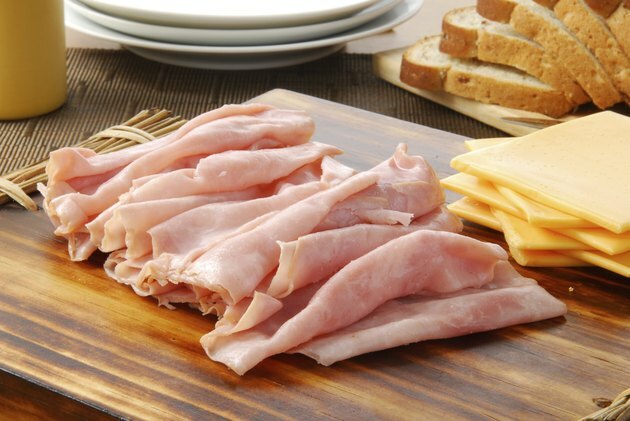 Limit the calorie content of your lunch by choosing lower-calorie cold cuts, such as turkey and low-fat ham. Skip or take only small portions of high-calorie components, such as bread, and minimize high-calorie condiments, such as mayonnaise on sandwiches. Many cold cuts, such as turkey breast and chicken breast, are low-fat. Some kinds of cold cuts, including pepperoni, salami, bologna and full-fat cheese, are high in fat and in saturated fat. 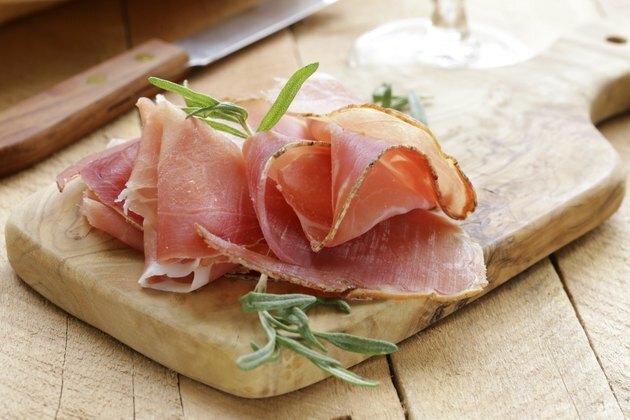 Selecting higher-fat cold cuts frequently can cause weight gain. In contrast, avocados and nuts contain heart-healthy monounsaturated fats. Add avocados to a turkey and low-fat cheese sandwich or to a green salad with ham, or bring some nuts to eat with your lunch. Cheese is naturally high in sodium due to the salt added during the cheese-making process, and processed meats, such as cold cuts, are also high-sodium. A high-sodium diet can lead to high blood pressure and a greater risk for stroke and kidney disease. 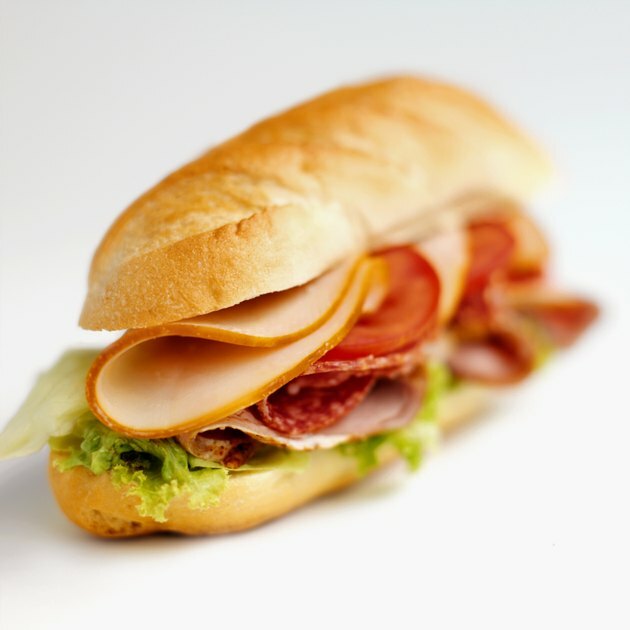 Choose low-sodium cold cuts, and be aware that bread is a higher-sodium grain option. If you are concerned about your sodium intake, eat your cold cuts with an unsalted cooked grain instead of making a sandwich. Try cooked quinoa with chopped ham and red peppers or whole-grain pasta with diced tomatoes, grilled zucchini and turkey breast. 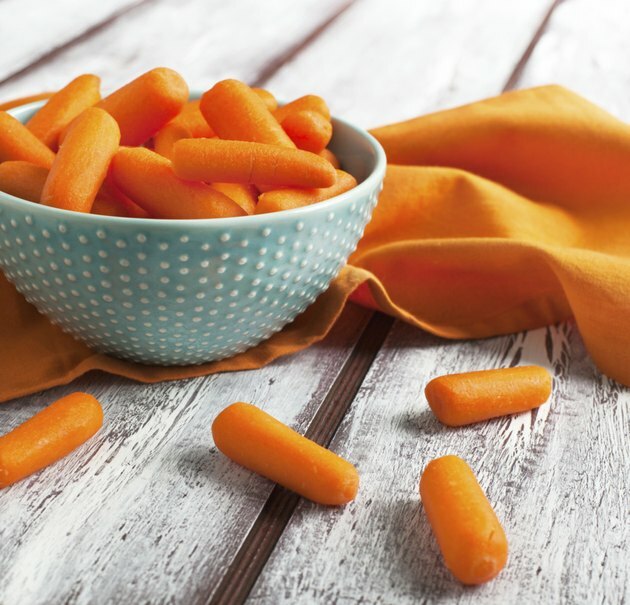 Include some low-sodium snacks, such as fresh fruit and baby carrots, in your lunch. Many processed meats contain preservatives called nitrates and nitrites. 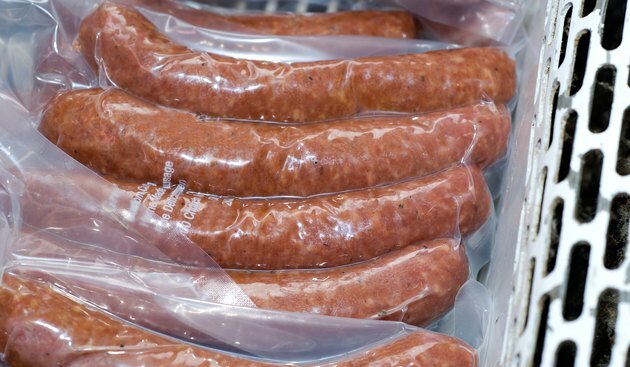 These chemicals add the pink color to processed meats and prevent bacterial growth to extend the shelf life, but consumption of processed meats containing nitrates and nitrites can increase your risk of certain cancers, such as bladder, pancreatic and colorectal cancer. To avoid nitrates and nitrites, read the list of ingredients on packages of processed meat, and choose meats without such ingredients. What Can You Put on a Roast Beef Sandwich?